New stadium for North Carolina FC would stand north of downtown Raleigh, along Peace Street. This location provides significant advantages, being partly within downtown, enbling mass road and rail capacity for supporters. Along the initial concept presented by Gensler Sports, the stadium would be visually divided into two parts. Its basis would ba a vast, simple and modern plinth. Onto it the architects wish to put an undulating, iconic roof with large transparent portions. Underneath there's room for some 25,000 people, including three tiers in the south, two in the west and a strip of sideline private boxes. 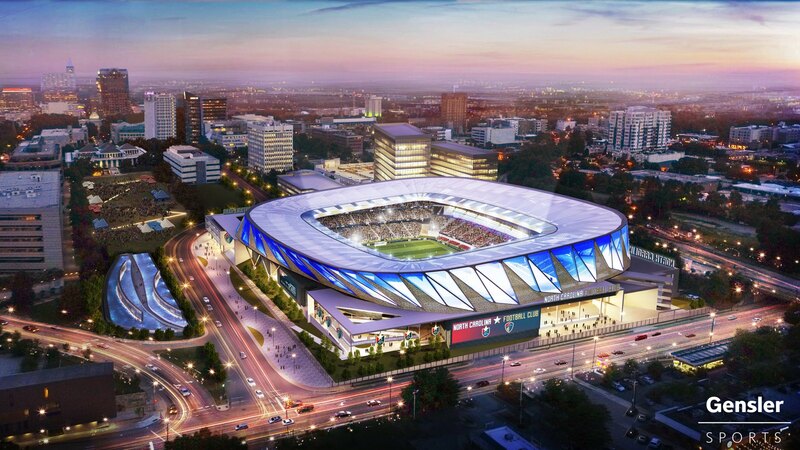 Though part of North Carolina FC's MLS bid, it's not only about the stadium itself. NCFC suggest there would be additional parking, office, retail and residential uses surrounding it. The exact shape of this large project depends on permissions and partnerships, though it's thought the stadium alone will cost no less than $150 million. 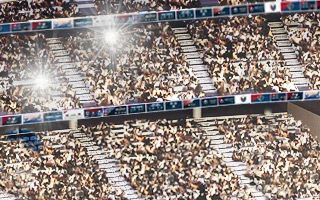 19.07.2017 New design: North Carolina's first MLS stadum? 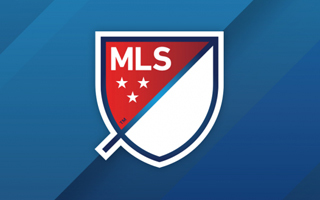 There are two teams from North Carolina competing for a spot in the current round of MLS expansion. 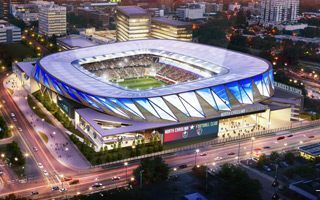 North Carolina FC reveals this amazing design to get the edge!